High Performance Bubble Fluid (BJU) CHAUVET fluids are designed and tested to provide exceptional output from CHAUVET fog, snow, .. 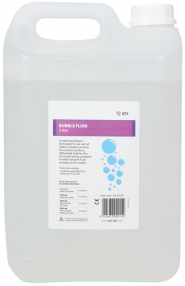 BUBBLE FLUID A water based liquid formulated for use with all makes of bubble machine. This solution produces lightweight bubbl..
A water based liquid formulated for use with all makes of snow machine. 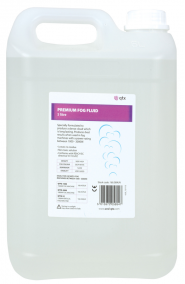 This solution produces the very best snow flakes that can ..
Our high performance fog fluid has been specially formulated to produce a dense cloud which is long lasting. Designed to produce b..
Fluid for use with haze machines to produce a light, evenly dispersed mist effect to enhance lighting and laser effects. Non.. Formulated for use with all makes of bubble machines Water-based composition Leaves no oily res.. 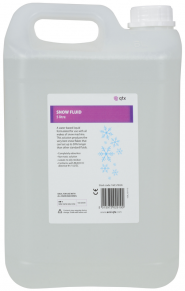 This water based liquid is specially formulated for use in all manufacturers snow machines. Our specially formulated sol.. 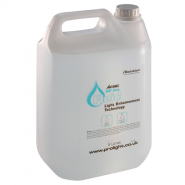 SMOKE MACHINE CLEANING FLUID 250ml Specially formulated liquid designed to clean the internal workings of a smoke mac.. Specially formulated for the Atmo range of hazer's, this fluid is also ideal for use with most other haze machi..